November 29, 2010 (KATAKAMI / Reuters) – Saudi King Abdullah has repeatedly urged the United States to attack Iran‘s nuclear program and China directed cyberattacks on the United States, according to a vast cache of diplomatic cables released on Sunday in an embarrassing leak that undermines U.S. diplomacy. “Cut off the head of the snake,” the Saudi ambassador to Washington, Adel al-Jubeir, quotes the king as saying during a meeting with General David Petraeus in April 2008. Comments such a description of Russian President Dmitry Medvedev, Russia’s head of state, as playing “Robin to (Prime Minister Vladimir) Putin’s Batman,” are sure to embarrass the Obama administration and to complicate its diplomacy. The White House said the release of the documents could endanger the lives of people who live under “oppressive regimes” and “deeply impact” the foreign policy interests of the United States, its allies and partners around the world. The U.S. government, which was informed in advance of the leaked cables’ contents, contacted governments including Russia, and in Europe and the Middle East, to try to limit damage. The White House also warned readers that the field reporting in the documents is often incomplete and does not necessarily reflect, or even shape, U.S. policy decisions. 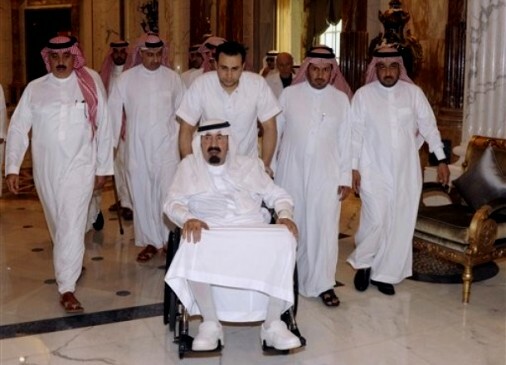 A handout picture released the Saudi Press Agency shows Saudi King Abdullah (C) sitting in a wheelchair as he arrives at his palace in Riyadh on November 19. King Abdullah is in good shape and was walking shortly after undergoing an operation last week, Interior Minister Prince Nayef bin Abdul Aziz said in newspaper reports on Sunday. November 28, 2010. (KATAKAMI/ FRANCE 24 / AFP) — Saudi Arabia’s King Abdullah is in good shape and was walking shortly after undergoing an operation last week, Interior Minister Prince Nayef bin Abdul Aziz said in newspaper reports on Sunday. Nayef, the king’s half-brother considered second in line to the throne, said the 86-year-old king was walking “outside” his New York city hospital on his own feet after his operation Wednesday for a herniated disc, the reports said. The prince gave no indication of whether the king had been discharged from New York Presbyterian Hospital, nor when he would be returning to the Middle East oil powerhouse he has ruled for five years. Abdullah left Riyadh on Monday for the operation. Despite the unusual level of transparency about his ailment, the news sparked worries among the population over the reformist monarch’s long-term health and the make-up of the royal family dominated government overall. The leading princes of the government, including Crown Prince Sultan bin Abdul Aziz, are mostly in their 70s and 80s and have held their jobs for decades. November 23, 2010. (KATAKAMI / Reuters) – Saudi Arabia‘s aging King Abdullah arrived in the United States for medical treatment on Monday, while a frail Crown Prince Sultan hurriedly returned from abroad to govern the world’s largest oil exporter. Abdullah, thought to be around 86 or 87, asked Crown Prince Sultan to fly home from Morocco to run the kingdom during his absence. The king will be seeking treatment after a blood clot complicated a slipped spinal disc, the state news agency SPA said. It did not say when Abdullah would be back. “Saudi King Abdullah bin Abdul-Aziz is currently visiting the U.S. for medical treatment, and we hope for his speedy recovery,” the U.S. State Department said on Twitter on Monday afternoon. With both Abdullah and Sultan in their 80s, speculation arose that conservative Interior Minister Prince Nayef, at a relatively youthful 76, could take over running the affairs of state some time in the near future. Diplomats say Sultan, who is also defense minister and has major health problems of his own, has been much less active during his convalescence in Morocco. 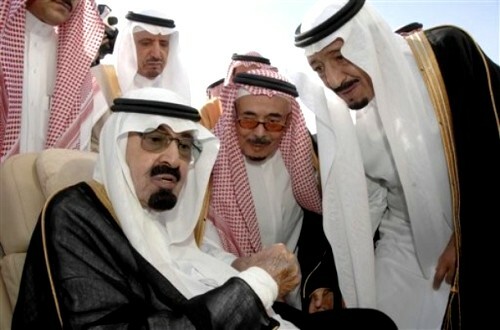 Abdullah appointed his half-brother Nayef second deputy prime minister in 2009 in a move that analysts say will secure the leadership in the event of serious health problems afflicting the king and crown prince and improve Nayef’s chances of one day being king. Diplomats in Riyadh say Western governments concerned about the fate of social and economic reforms promoted by Abdullah have reservations about the ascent of Nayef, seen as a religious and social traditionalist. Nayef long denied that the September 11, 2001, attacks were carried out by Saudis or al Qaeda, suggesting they were carried out by supporters of Israel. He is seen as close to the powerful and hardline Saudi clerical establishment blamed by Washington for encouraging an ideology that promotes bigotry and fanaticism. King Abdullah, who came to power in 2005, is the sixth leader of Saudi Arabia, whose political stability is of regional and global concern. It controls more than a fifth of the world’s crude oil reserves, is a vital U.S. ally in the region, a major holder of dollar assets and home to the biggest Arab bourse. As home to Islam’s holiest sites, as well as birthplace of al Qaeda leader Osama bin Laden, Saudi Arabia is key to global efforts to fight Islamic militancy. Washington wants Riyadh to continue social and economic reforms promoted by Abdullah that were seen as crucial after a group composed of mainly Saudis carried out the September 11 attacks of 2001. But confusion still swirls over the real state of health of both Abdullah and Sultan and what will happen to Abdullah’s policies. Diplomats say there has been uncertainty about Abdullah’s health since he canceled a visit to France in July. A series of official announcements over the past week on the king’s health reflect a desire to reassure Washington that the ruling family’s grasp of affairs remains firm in tense times. The hasty return of Sultan from a three-month break in Morocco was more low-key than his return last year from treatment for unspecified health problems. Then the half-brother to Abdullah, only a few years his junior, was met with a Bedouin sword dance. Saudi state television showed Sultan at Riyadh airport, where he was greeted by senior princes of the Saudi royal family, which may soon face the test of managing an orderly transfer of power. Abdullah was not present at the event. The princes at the top of the hierarchy in the absolute monarchy are all in their 70s and 80s and the Al Saud family, in power since the kingdom was founded in 1932, will remain a gerontocracy unless it soon promotes younger princes. While official media seek to present family unity, tensions remain between the senior princes over who will run the country and over securing positions for their sons in the future political architecture of the absolute monarchy. Saudi King to seek medical treatment in U.S.
November 21, 2010 KUWAIT/JEDDAH (KATAKAMI / Reuters) – Saudi Arabia’s elderly King Abdullah will leave for the United States on Monday for medical checks for a back ailment, and Crown Prince Sultan is returning from holiday abroad, state media said on Sunday. Political stability in the monarchy is of global concern. The Gulf Arab state controls more than a fifth of the world’s crude reserves, is a vital U.S. ally in the region, a major holder of dollar assets and home to the biggest Arab bourse. Western diplomats in Riyadh said the king’s departure and the crown prince’s sudden return indicate the kingdom, which has no political parties or elected parliament, is trying to prevent a power vacuum and reassure Washington and other allies. Prominent Saudi journalist Jamal Khashoggi said the royal court’s fourth medical bulletin in little more than a week showed the desert kingdom, known for its secrecy, wanted to dispel any rumors. “They want to make a point that there is no room for rumors … Everybody should know that we do have a system to resolve all unexpected situations,” he added, pointing to an allegiance council set up by Abdullah to regulate the succession. But analysts say the ruling Al Saud family, which founded the kingdom with clerics in 1932, will remain a gerontocracy unless it soon promotes younger princes, as those at the top are all in their 70s and 80s. The king is thought to be 86 or 87 and Sultan is only a few years younger. Many technocrat ministers such as Oil Minister Ali al-Naimi are in their 70s. Abdullah, seen by Washington as a moderate at the helm of a pivotal Muslim country, was admitted to hospital on Friday after a blood clot complicated a slipped disc he suffered the week before. “The king will leave on Monday for the United States to complete medical tests,” the Saudi Press Agency SPA said. Diplomats said there has been uncertainty about the extent of his health problems since Abdullah canceled a visit to France in July. Crown Prince Sultan, who has had unspecified health problems over the past two years, will return to Riyadh on Sunday evening from Morocco, where he has been since August. Saudi officials say Sultan, who is also defense minister, has been working normally since returning in December from an extended medical absence. Diplomats say he was treated for cancer and has since then been much less active in public. During his stay in Morocco, the Saudi cabinet approved a rare salary increase for soldiers, a classic domain of Sultan. The United States is keen to see reforms continue after the September 11 attacks of 2001 on U.S. cities brought Saudi Arabia’s puritanical Wahhabi form of Sunni Islam to the top of global concerns. Fifteen of the 19 al Qaeda attackers were Saudi. 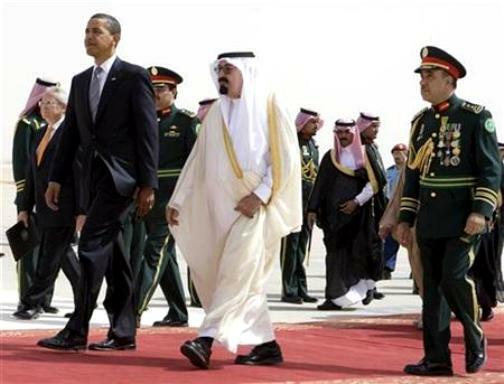 Saudi Arabia has become key to global efforts to fight al Qaeda. A Saudi intelligence tip-off helped Western governments stop package bombs destined for the United States that were sent on planes out of Yemen last month. Interior Minister Prince Nayef, comparatively youthful at around 76, was appointed second deputy prime minister in 2009 in a move which analysts say will secure leadership in the event of serious health problems afflicting the king and crown prince. The position does not guarantee that Nayef would become king but places him in a strong position to shape policy. Most diplomats expect it as he has steadily expanded his influence into other areas, discussing even inflation or economic policy. In some government offices Nayef’s picture has been added to that of Abdullah, Sultan and state founder Abdul-Aziz Ibn Saud. Analysts and diplomats see this as part of the jostling for position at the top of the ruling family. Last week the king transferred control of the National Guard, an elite Bedouin corps that handles domestic security, to his son Mitab, and diplomats expected more royal moves. “This appears to be the sign that changes are coming and younger princes are now getting promoted,” said Dubai political analyst Theodore Karasik. So far only sons of the state founder can become kings, of which about 20 are left, some in ill health. With both the king and crown prince indisposed, Prince Nayef has featured heavily in state media over the past week. The veteran security chief was in an ebullient mood when he met reporters in Mecca before the haj pilgrimage last week and state media made a formal announcement that he would oversee the haj in the king’s place, receiving guests there in recent days. Nayef is seen as a hawk on a range of issues. Analysts say he appears lukewarm about the social and economic reforms the king has promoted, including attempts to reduce the influence of the hardline clerical establishment in a country that imposes strict Islamic sharia law. Another key royal, Riyadh governor Prince Salman, in his 70s, will return to the country on Tuesday to resume duties as governor of Riyadh, SPA also said on Sunday. Comments Off on Saudi King to seek medical treatment in U.S.